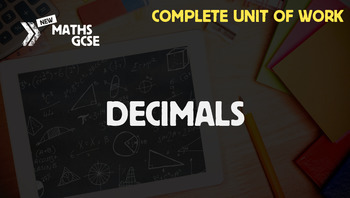 In this unit, students will develop confidence in working with decimal numbers, particularly gaining skill in determining place value. They will begin by looking at how calculation methods for addition, subtraction, multiplication and division apply to decimals. Students will then learn how to use answers to decimal calculations to assess answers to other questions, round numbers to given numbers of decimal places or significant figures, and estimate answers by rounding numbers to one significant figure. Homework Activity: Further tasks to give students to complete at home.